Courtesy of Catch Up T.V. I watched the first episode of Civilisations: Second Moment of Creation on BBC2 this weekend. The historian, Simon Schama is a magician. He speaks with an authority and allure that instantly places you under a spell, drawing you in. Schama announces the series by looking at the formative role art and the creative imagination have played in the forging of humanity itself. I have now watched the first five minutes of that episode several times. The gravity of the opening moments will not escape you. We endeavour to protect the treasures of civilisations so that we pass on their revelation to the future, Schama says. But then, every so often, something comes along to shake them from our grip. Schama gives us the example of the ancient city of Palmyra, in present day Syria – 130 miles northeast of Damascus, known by Syrians as the ‘Bride of the Desert’. Palmyra, a UNESCO World Heritage Site, is a place of significant interest because it is a place where the cultures of Greeks, Romans, Arabs and Jews mixed and merged. Last year, the ISIS militant group took over Palmyra and razed some of the ancient ruins to the ground. The militants captured the site’s Chief Curator Khaled al-Asaad and publicly beheaded him when he refused to say where some of the site’s treasures had been taken for safe-keeping. Schama muses on the fact that we might talk about the value of saving and cherishing treasures passed on as civilisation but then, How many of us would give up our life for it? Schama offers help in defining civilisation by helping us recognise its counterpart. When its opposite shows up in all its brutality and cruelty and intolerance and lust for destruction we know what civilisation is. We know it from the shock of its imminent loss as a mutilation on the body of our humanity. And then, for me, the nub, with Schama declaring, “We are the art making animal”. It defines our place in the world. Wow! The meaning behind the programme’s subtitle is revealed. ‘The Second Moment of Creation.’ The dawning of human creativity. A couple of weeks ago it was Rae Snape (Twitter: @RaeSnape ) who drew my attention to a national 3 day festival to showcase Creative Schools, Work and Lives. A collaboration with venues and organisations across Kings Cross, London; The #ARTCONNECTS Festival of Creativity organised by @ST3AMC0 and @People4Art . You know those flyers that edufirms weigh down the friendly school postie’s sack with? The ones that announce event dates and then suggest audience make up? Often they begin (always in perceived hierarchical order) with headteacher, deputy headteacher, senior leadership team, and finish somewhere deeper on the page with ‘the boiler service engineer’. Well, the #ARTCONNECTS organisers stated that the event was for ‘Parents and other Carers like Artists, Parents, Teachers, Techs, Creatives, Students and Business People’. I know that because I have just looked it up. I rather pathetically replied to Rae that because I live 250 miles north of London I would not be attending. I should have done. I wish I had. I would have been better persuaded if I had registered the target audience at the time. I followed the event with interest, courtesy of Twitter. It is well worth spending a bit of time trawling through the #ARTCONNECTS thread. At the event, Geoff Barton (General Secretary ASCL) gave an excellent and heartfelt talk on the ‘arts as a social mobility birthright’. Geoff highlights the fact that the squeeze on creative art subjects in state schools is not happening in independent schools. It is not, because it is seen as an entitlement, what parents are paying for. Geoff suggests that we change tack in our line of debate. This is not about funding, it is about values and social mobility. What is more, “Through art, humans become more human.” It is, therefore, “a birthright”. This really does take us back to Simon Schama’s viewpoint does it not? We are the art making animal. It defines our place in the world. The Second Moment of Creation was the dawn of human creativity. This is an ethical issue. It is. Is it ethical to spend time narrowing the curriculum and spending more time preparing young learners for tests, just because they are high-stakes for us? Is it right that we coach learners in how to pass exams, rather than continuing to educate them holistically? Twenty plus years on from that TED Talk, Do schools kill creativity , Ken Robinson spoke at an event held in Minneapolis on 22nd February. A huge misconception amongst adults, according to Robinson, is that kids don’t like to learn. On the contrary, “my conviction is that kids love to learn. That’s not the problem,” he shared. Rather, “it’s the construct of school” that beats a love to learn out of students, he says. We have to reframe the abilities of our children. We have deep natural talents, but we have to discover them and cultivate them. If you have a narrow view of ability, you generate an enormous amount of inability. Geoff is right, of course it is a question of values. Although, George has me thinking that it is more than that. It is an ethical issue. Who are we to deny our young ones their birthright? I agree with Geoff, through art, humans become more human. For, after all, as Simon Schama says, we are the art making animal. The dawning of human creativity, Schama contends, equates to the Second Moment of Creation. If we heed Ken Robinson’s warnings on adopting a narrow view of ability, condemning those simultaneously branded as unable, whilst observing a creeping narrowing of the curriculum, we are working unethically. I do not wish to disrespect Khaled al-Asaad and his family by comparing his making of the ultimate sacrifice in protecting the treasures he saw as his duty to pass on to the next generation to the, let us call it the identified birthright issue, in our schools, but it is worth thinking on. It is an ethical issue. Something else to contemplate… we are getting very clever, it seems, at creating automatons, and new ground is being broken in the field of Artificial Intelligence (AI). Does this mean that non-humans, created by humans, are shifting on the spectrum, closer to where humans currently sit? Another question… If we continue to take the path of less resistance, not challenging ‘the system’ as it currently stands and works, stripping children of their creativity in our schools, are we humans actually shifting towards those non-humans on the spectrum; a convergence? Now that is an ethical issue! I would like to finish on a brighter, more promising note. Those of you who are kind enough to find the time to read my blogs know that my passion is community capacity building and working for more authentic, socially engaged, family-school-community partnerships. Ken Robinson challenged the idea that many of our young ones are apathetic and do not like to learn. Rather, he says, school systems are failing too many children. I would like to add to that by dispelling the myth that families in those communities that I have been lucky enough to work are apathetic where the Arts is concerned. On two occasions, I have had the absolute pleasure to be one of a group of 180 plus children and adults (parents/carers + staff) from two of the schools I have led in, journeying to London to take advantage of what the Big City has to offer. On both occasions (two different school communities) we spent a full day in the Tate Britain exploring the work of William Turner. The evening we spent at The Lyceum, watching The Lion King. The following day, the Victoria and Albert Museum. We worked with the children and parents prior to the visit, in school, and post-visit. Don’t tell me there isn’t an appetite for the Arts in communities such as those I have served. I will never forget the sight of one dad sitting two seats down from me in the Lyceum, perched on the edge of his seat, transfixed, his face a picture of sheer enjoyment. I cannot say how many times he thanked me after the show, on behalf of his son, and himself, when it was for me to thank him. I have spoken in previous blogs of schools encouraging parents/carers to be activists, change agents. Geoff is right to say that we cannot stand by and allow the squeeze on arts to go unchallenged. I say we enlist our parents and community and have them stand with us to demand the birthright of our young ones. Returning to the matter of delegate menus. Reading that list of suggested attendees for #ARTCONNECTS awakens in me memories such as that described above. That is why I should have listened to Rae and got myself down there. After all, if the Jarrow Marchers can walk to London, I could have caught the train or driven. The future is made of yous, it is made of encounters, because life flows through our relations with others. Life is not merely time passing by, life is about interactions. I had an encounter this morning that will sound familiar to those of you who have ever taught young people. On our way home, my wife and I called in a local supermarket. As we approached the checkout I noticed ‘A’ straight away; a former pupil at one of my previous schools. When our turn came, he looked up, smiled broadly and said, “It is you, isn’t it? Mr Feasey?” For those colleagues who work in secondary or tertiary education the leap is not so great, I imagine, but seeing the young man (or woman) version of the boy (or girl) you remember as primary school age is always quite something, often stunning. I extended my hand, ‘A’ shook it firmly, and then (as he whipped several items across the scanner) told Gill and I of his plan. He was working when he could to earn money as he attended college. I leapt in with, “So you will be going to university then?” ‘A’ put me right. He is working hard to get good grades and hopes to secure an apprenticeship with a firm in the sector he is interested in. That, so that he does not have to saddle himself with a big debt. I walked out of the shop smiling inwardly, and outwardly, no doubt. I earnestly hope that ‘A’ achieves all of his goals, and more. Not so long ago I had the privilege of being a guest speaker on a webinar led by Dr Russ Quaglia. Russ (Twitter: @DrRussQ) has spent decades researching Student Voice and Aspirations with his team at the Quaglia Institute in the U.S. – working with and supporting schools in the U.S. and nationally. Russ is probably the most passionate, committed and articulate academic/practitioner I have ever come across. His work on School Voice (Student/Teacher/Principal/Parent) is grounded in deep and extensive research, over a considerable period of time. What draws me to Russ’s work is that its core intention is to offer agency, hope and purpose. Russ says that school voice isn’t just about asking and listening – it is also about what happens next. The Quaglia Institute define Aspirations as the ability to dream and set goals for the future while being inspired in the present to reach those dreams. Aspirations are both “then” and “now.” They involve both dreaming of the future, and doing in the present. They are made up of a vision of where we want to get and, at a minimum, a willingness to do what is necessary to get there. I would place ‘A’ squarely in the top-right quadrant. I cannot take credit for that, other than knowing that, as a team, we offered ‘A’ the very best we could at our school. I cannot remember his attainment levels but I am confident that he would have done well. I remember ‘A’ exemplifying all that we valued and celebrated in our school. I remember ‘A’’s parents as supportive of school, of their son, and wanting the very best for him. I do not know how secondary school went for ‘A’ but I would hazard a guess that ‘A’ has largely driven himself to where he sits right now, in the top right quadrant of the Aspirations Profile. That said, I have no doubt that certain stand out individuals would have given ‘A’ a nudge in the right direction from time to time. We all need that. While looking at tomorrow, it invites us to open a dialogue today, to look at a future through a “you”. The future is made of yous, it is made of encounters, because life flows through our relations with others. Life is not merely time passing by, life is about interactions. He reminds us that we all need each other, none of us is an island, separated from the other, and “we can only build the future by standing together, including everyone”. Pope Francis talks of Science and how it points to an understanding of reality, as a place where every element connects and interacts with everything else. “How wonderful would it be, while we discover faraway planets, to rediscover the needs of the brothers and sisters orbiting around us.” He wonders how good the world would be if solidarity became the default attitude in political, economic and scientific choices, as well as in the relationships among individuals, peoples and countries. His Holiness offers a stark warning on the issue of power, saying that the more power you hold, the more your actions will have an impact on people, and so, the more responsibility you have to act humbly. He tells us of a saying in Argentina. Power is like drinking gin on an empty stomach. You feel dizzy, you get drunk, you lose your balance, and you will end up hurting yourself and those around you, if you don’t connect your power with humility and tenderness. The future of humankind isn’t exclusively in the hands of politicians, of great leaders, of big companies. Yes, they do hold an enormous responsibility. But the future is, most of all, in the hands of those people who recognise the other as “you” and themselves as part of an “us”. And we all need each other. How wonderful would it be if in all our school communities solidarity became the default attitude in the relationships among students, their families, school staff, and extended community members? How many of us drink gin on an empty stomach and fail to join the community dots? Not wilfully, I might add, but dizzy perhaps with the ever increasing demands placed upon us. We have the power to do good work here. And God forbid we leave the future of mankind in the hands of our politicians and big business! Aspirations are both “then” and “now.” They involve both dreaming of the future, and doing in the present. We all need each other, none of us is an island, separated from the other, and we can only build the future by standing together, including everyone. I say it is not naive to believe that all schools, in embracing their communities and fostering solidarity can shape a better and more socially just world. To do so, we must address the needs of all those orbiting around our communities by listening to their stories and addressing traditional lines of power. Together, we can multiply Hope and drive and guide those young ones we are all there for; their Aspirations “then” and “now”. Whether or not ‘A’ needed a safety net, I know not. You will have a store of similar encounters and stories of your own. I do wonder how many more young people would have hit that top right quadrant if, typically, solidarity marked family-school-community partnerships. I usually give significant time and thought to any one blog post, returning to texts and other media as I travel. But today I feel moved to tread the road less travelled by, just as Balthasar, Melchior and Gaspar did a couple of thousand years ago. This morning I attended the early mass, as usual, at our local church. The mass was said in celebration of the Epiphany (the 12th day of Christmas – 6th January) – the manifestation of Christ to the Gentiles as represented by the Magi (the 3 wise men). Monsignor began his sermon by talking of a visit he made to the home of a member of the parish, this week. Monsignor was drawn to a picture on the wall, one that he recognised as a Canoletti; a view of Venice. He said that he moved across to it, sensing there was something odd about it. Monsignor discovered that it was in fact a jigsaw. Intrigued, he asked about it. The parish member told Monsignor who had completed the jigsaw and then went on to tell him of those people; their stories. Monsignor went on to artfully put this tale to work as he extracted his message from the words of today’s gospel. The whole episode got me thinking. Truth be told, it doesn’t take much to trigger a line of thought in me. Ask anyone who knows me, I am apt to jump around a bit in conversation. 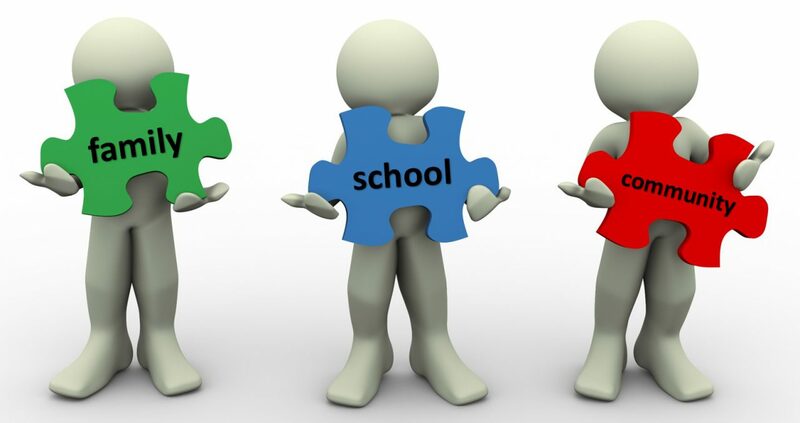 It strikes me that our school communities are jigsaws and every piece has a story to tell. Every piece is key to the bigger picture. Indeed, if all pieces are not accounted for the picture cannot be complete. Accept that and we have to say that no one piece is more important (more powerful?) than any other. Equally, every picture represents a moment in time. Time passes… The view may shift, affect an altered hue, or even be transformed. Even so, the law holds, the jigsaw is incomplete without all pieces on the table. With the three magi in it, the nativity scene at the foot of the altar in our church now looks complete. The jigsaw is complete. We would do well to think on our school jigsaws as being incomplete without accounting for the many pieces representing families and community members. And they all carry their own stories. Much as those who assembled the jigsaw that drew the attention of Monsignor carried stories, as shared with him.